Love is in the air! People are going out to buy boxes of chocolates and flowers for their loved ones, preparing for romantic dinners, and some are hoping that a secret admirer will confess their love. Some seek help from the Internet to make Valentine's Day as romantic as possible and since many people check their emails first thing in the morning, spammers and other cybercriminals see this as the perfect opportunity to attack. The ILOVEYOU virus from 2000 did just that, although it was sent on May 5th, not on Valentine’s Day. The virus, a computer worm also referred to as “Love Letter,” originated from the Philippines and was sent via email with the subject line “ILOVEYOU.” The virus went viral when users opened the “LOVE-LETTER-FOR-YOU.txt.vbs” attachment included in the email. The opening of the attachment activated the viral basic script, damaging the user’s computer, overwriting image files, and sending copies of itself to addresses in the user’s Microsoft Outlook address book. The virus reached the U.S. on Friday morning, just as people were checking their emails. Since it was sent from someone they knew, and we didn't have the collective experience of viral spam yet, people trusted the email and opened the attachment. Perhaps they were excited to receive a love letter? The virus infected millions of computers, and since then, the practice of using enticing and touching subject lines has become commonplace. 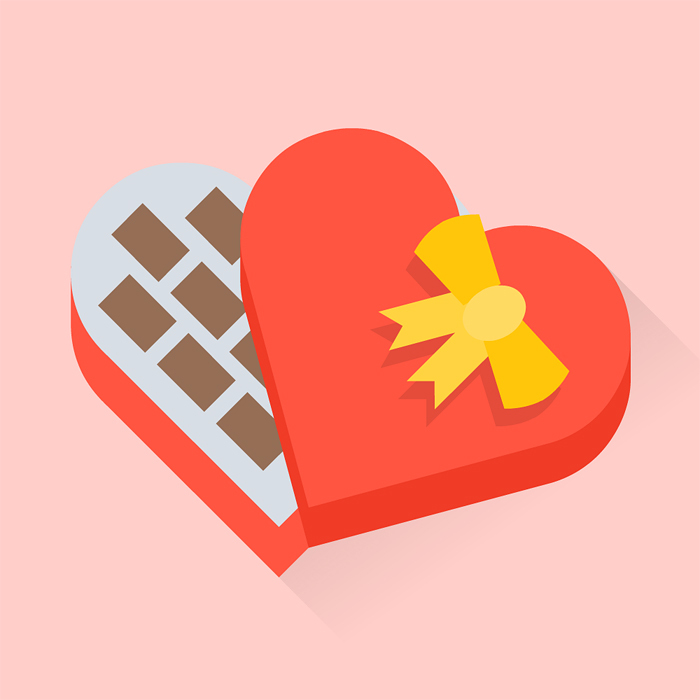 Hackers, virus writers, and spammers are aware that many people, both single and taken, are vulnerable on Valentine’s Day, targeting them with subject lines that promise to make their day as sweet as possible. Where are the targeted lonely hearts? The top five targeted email domains, meaning the addresses targeted for these spam messages, are: .com (USA), .pl (Poland), .jp (Japan), .fr (France), and .br (Brazil). The top three host domain origins, meaning the addresses from which the emails appear to be sent from, are: .com (USA) with 14.7%, .cn (China) with 4.1% and .de (Germany) with 1.7%. Our advice to keep your device safe on Valentine’s Day is to only open emails from people you trust. Even if you recognize the address, ask yourself, “Would this person send me something with a subject line like that?” before opening it. Most importantly, no matter how badly you are feeling about not having a Valentine, do not open emails in your spam folder unless you are 100% sure they don't belong in there. We hope everyone, both single and taken, has a happy and loving Valentine’s Day!